Social media listening is the process of identifying [real-time] conversations happening on social media about a product, or a brand so you can respond in a timely manner, and accordingly. It is also called as social media monitoring. Since social media has empowered customers to speak about their experience about a product or brand, it is essential for businesses to assess what is going on in the interwebs by carving out time to listen for brand/product-related conversations. Did you know that social media listening is keyword-based? Yes, it is! Therefore, it is helpful that you have a basic understanding of the keywords of you business and your industry. Where to start? Well, how about starting with a guess. I know I shouldn’t say that but yeah that’s where I’d start. Truth be told, that is where I started way back when I was new to all this. Hey, we gotta start somewhere, right? Identifying keywords to listen for is a process. Write down what you think are the right keywords for your business. Then, using all the keywords on the list you created, use Google’s Keyword Planner to verify [nullify] what you have written on your list. If you haven’t used Google’s Keyword Planner to research keywords before, here is a blog on how to use it [Keyword Planner] for research. Listen. Definitely, take the time to listen. If you are a just starting online (with your business website, blog and other social media platforms), monitoring the buzz is where you start, ideally. If you are already online, it is not too late to start listening now. What are key points that you should listen for? Of course, the keywords; but beside that here’s a couple more. These are just a few of what you to listen for. You can expand the list later. Social media listening is a practice that should be done regularly and consistently. What do you get out of it? Is it worth the time? Demonstrate authority by sharing knowledge or expertise – where and when needed and if appropriate. Find out what others are talking about in your target market. Spot trends and discover pain points. Track sentiment about your brand, or product. Identify the tone of voice of what others are saying – is it positive, or negative? Find key influencers in your niche market. Find out if anyone in your company may be participating in discussions and is posting information without your approval, and if post is [in]accurate. Identify old and new competitors and find out what they are doing. Who’s talking to them? What terms do they use? Identify areas in your business process that may need to be developed, or needs improvement. Customer retention and service opportunities. Forge and foster customer loyalty. Determine areas that could be a “threat” to your company. Improve product and develop new ones. Check what type of content is performing well [or not]. Spy on your competitor. Uhm, yeah! You have done social media listening, now what? Not taking the time to listen is not good neither is not doing anything with information you have gathered. Wouldn’t that be a huge waste of time? So what can you do with the information. 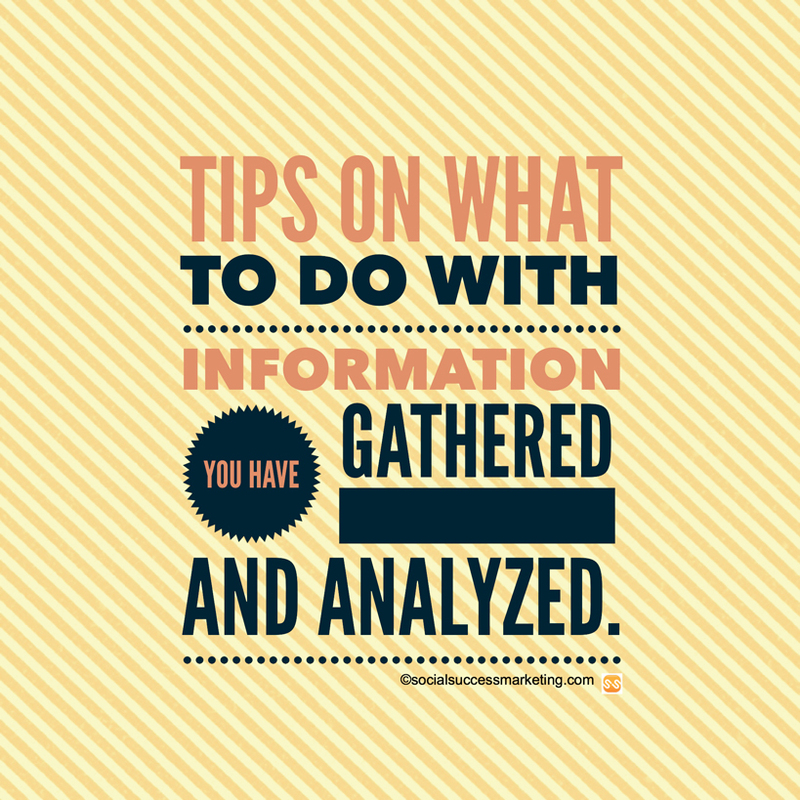 Depending on your marketing goal, and bandwidth, here are possible things that you can do with the information you have gathered after analyzing it. Initiate and develop possible alliances/partnership. Develop content based on result you find – blog, eBook, online posts, website FAQ. Reach out to potential leads. Improve customer service. Develop a plan or process to respond to online complaints, and other customer posts. Develop a crisis management plan. What to say, and what to do, and when to escalate issue and to who. Set up a plan or schedule for continuous/regular monitoring. Identify tool/s to use. Create a social media policy or update the existing one to keep it current if your employees are posting online. Communicate it internally. Do better than your competitor! Decide whether you’ll sign up for new platform, or join forum. How are you going to monitor it? Do you have enough bandwidth? Should you hire a social media consultant? Create benchmark. Define or adjust your key performance index for monitoring. Address customer-service related issues. And decide what to do with the recurring ones. Identify gap in your process and work on it. Modify ad. Identify what’s working and repeat it. Change tactics, landing page, content and call to action if you are not getting your desired audience. Create more of those posts that are performing well. Just a note that I have listed here a bunch of free tools only. I do pay for some tools to monitor & measure performance of accounts that I manage but even the paid ones aren’t perfect either. What I do is that I use the paid versions in combination of the above free tools. 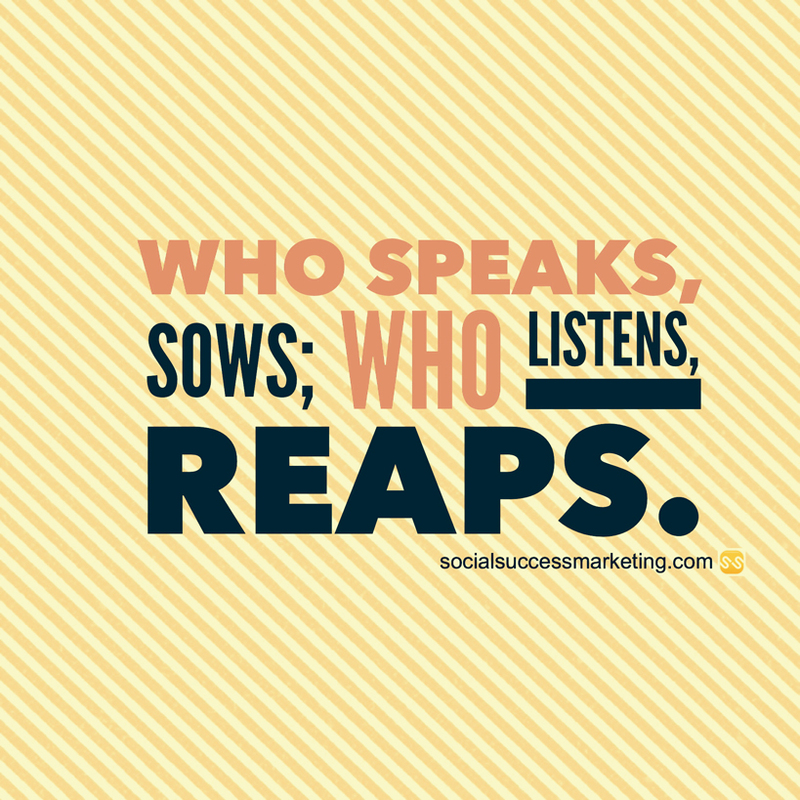 Does your business “practice” social media listening? Not sure how and where to start? Need a social media coach to help you? What social media listening tools do you use?